We take the vehicle directly to the hostel or apartment. 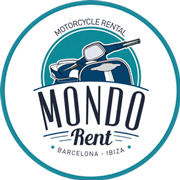 A person of our staff will help you with the rental contract and give you basic instructions for the vehicle you hired. If you want us to pick up the vehicle at the same place, you must add 10€ extra. ust call us or send us an email. Tell us what you like to see in the city, what kind of vehicles you prefer, how far accounts for this tour, the language of the guide and how many riders will accompany you (minimum 2 people per tour). We design an experience that suits you and will send a budget according to your requirements within 48 hours. Rent a GPS with which you can easily locate in the city you're visiting, improving your experience and optimizing time. All our vehicles are covered by third party liability policies and roadside assistance. extra coverage will be agreed at time of rental and according to the specific needs of each client.